The Middleton Stream Team is sponsoring a town-wide clean up of all the litter that has accumulated in many undeveloped areas, wetland areas, and areas along roadsides. Plastic, cans, paper and other trash is polluting our watershed and making our town look messy. The clean up campaign will be held during the month of April. Residents can organize a cleaning of their neighborhood or take an area of concern to clean at their convenience. Take a photo of yourself with the bags of trash that you have collected and post it to Facebook and include Middleton Stream Team in your comment so that we will be alerted of your efforts. 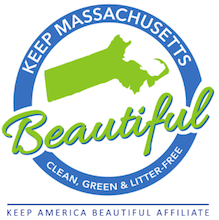 You can also use #keepmiddletonbeautiful. Identify the area that was cleaned so that others will see what has been done. If you cannot post to Facebook, then attach the photo in an email to: mstmiddletonma@gmail.com. The family or individual who has picked up the most litter will be recognized at the Middleton Stream Team Earth Day Festival on April 28. A photo will be taken for the newspapers and a prize will be awarded. Earth Day Clean-Up with Members of the Middleton Stream Team: We invite anyone to join us on Earth Day, April 22 to pick up litter at the entrance to Middleton Pond on Lake Street at 3 pm. During any clean-up, we recommend that you wear gloves and or use other protection for your hands. if possible, we encourage separation of recyclable material, plastics, glass, metal, trash. LETS #KEEP MIDDLETON BEAUTIFUL.